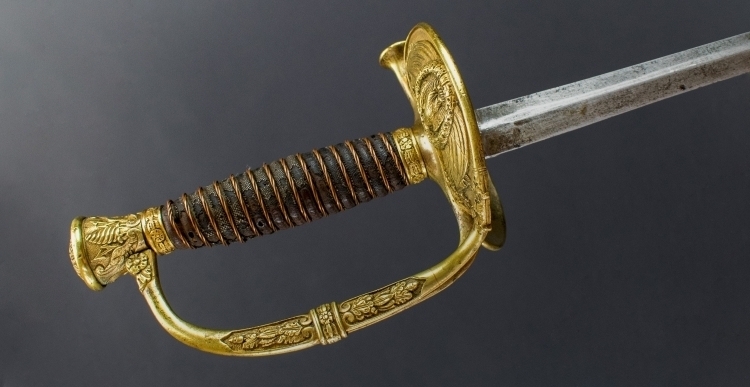 - with 83cm plain flattened diamond section tapering blade, regulation hilt with folding shell back guard and the fore-guard with a cockerel in high relief surrounded by a laurel wreath and standards, knuckle guard, urn pommel and leather bound wire grip. 99cm overall. Good condition, the wire binding the grip later.